You spend most of your professional career trying to get where your ambitions lie. And then you spend most of your time trying to improve, to catch up, to seek elusive perfection in your craft. And in fact, you enjoy it, which is why the profession chose you in the first place. You have learned how to learn, you have become your biggest -hopefully constructive- critic due to your observation skills and quick analysis after the fact. And with experience, you have a set of tools and a way to use them consistently. Which is why perceiving unorthodox (to you) behavior by other colleagues can be a catalyst to action. What to do if you perceive gross offenses to protocol? Ethical lapses? Improper demeanor? The list of sins can extend to those of omission as well as to those due to inexperience, lack of credentials and simply put, insufficient language proficiency in the colleague’s language pair. What do to if anything at all, indeed? Before letting your brain get ahead of itself, ask yourself if the perceived behavior is indeed taking place. Is it only a matter of preference? Is it repeated? Can it be documented, should you need to bring it to someone’s attention? Is it an error or a willful violation? Does it impact the proceedings? Will it affect the integrity of the record? Will it affect your own performance? Before letting your brain get ahead of itself, ask yourself if the perceived behavior is indeed taking place. Approach the colleague you believe to be at fault with the same compassion you’d want to be shown to you and without interrupting proceedings. One must consider that they may not know they’re at fault and must believe that with a pinch of necessary humility, they will be glad to correct their performance. It will depend on what you say and how you say it to them. Be firm, but also be an active listener. There may be a valid explanation for faults this time. Unless your observation is confirmed as improper and worthy of correction, your colleague and you may have to agree to disagree for the time being. Sometimes the dynamics of power and communication can obscure goals and motivations. A good interpreter will always want to improve and will welcome constructive criticism because every rendition you’re not killing (the bad way) does make you stronger. A suggestion is always better than a complaint and much better than an order or an ultimatum. Negotiation and emotional intelligence are key. So far, the assumption deals with colleagues who earnestly wish to do right by our codes of professional practice and may be affected by laziness, a bad day, or a lack of skills. An important component of professional ethics is to know one’s limitations and the need to recuse oneself if not qualified and capable to do the task at hand. Most colleagues will not want to have their shortcomings exposed and future careers damaged before they start. If the demeanor, behavior or performance of the colleague is so egregious that the matter becomes an unmissable stain, you may find yourself pitted against an unqualified rogue, a true obstacle to interpreting, both to the event and to the profession. If they interpret in the third person, misstate their credentials, miss chunks of speech then, most likely, they already know they shouldn’t be there, but they are. Your telling them may not achieve anything other than to warn them that you’re onto them and then you’ll have another problem to deal with: team interpreting with an enemy, a saboteur or someone waiting to catch you in error. Even if their underperformance is not linked to and doesn’t affect your own performance, I suggest you politely call the attention of the end user to call for an off the record discussion as to what you have observed. This is called reporting of impediments to interpreting. I feel that even after the failures have been brought to the attention of the wayward colleague, it is necessary to bring it up to the attention of the controlling authority, be it a judge, attorney, doctor, or any other end user client, PLUS the agency if they are involved, so this situation does not happen again. Getting respect and recognition for the profession also requires pruning out offshoots that are still green or those that are rotting in order to sustain the structure. Too many avenues for training, education, and certification are available now for us to accept substandard performance that diminishes us, the profession and the perception others have of our work. The list of sins can extend to those of omission as well as to those due to inexperience, lack of credentials and simply put, insufficient language proficiency in the colleague’s language pair. So, depending on the severity of the behaviors (loudly chewing gum at rest, tapping a pen while rendering, wearing too much perfume, consistently getting details wrong, omitting, embellishing or changing register,) DO speak up I say, but do it politely, armed with specific written observations of the behaviors, demeanor and failures of this interpreter. And if you’re on the receiving end, be open to getting feedback — good and bad; act humbly and then reflect, assess and welcome change when justified. Think of this as an unrecognized gift, a second chance to make a better first impression on your next assignment. The Chinese pictograph for “Crisis” is made up by “Danger” and “Opportunity.” When you are in danger of making a fool of yourself in public, take the criticism as an opportunity to grow better than you were yesterday. Remember that learning happens from trial and error; you’ll be glad you did. Armando is a federally-certified court interpreter, a certified trainer for the nationally recognized Bridging the Gap medical interpreter training program, an adjunct professor of interpretation at La Salle University, conference interpreter, grader, lecturer, and consultant in the industry as a Subject Matter Expert. He has spoken at many industry associations to present on the topic of medical interpreting, including the Society for Healthcare Consumer Advocacy (SHCA), the International Medical Interpreters Association (IMIA), and the Texas Association of Healthcare Interpreters and Translators (TAHIT). 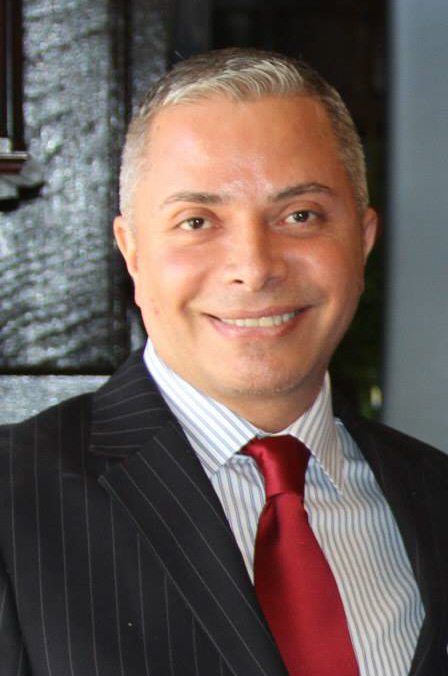 Armando holds degrees in Psychology, International Studies and Spanish Language and Literature. He has been published on various topics of interest to the language services profession and, as a recognized thought leader in the industry, is often engaged as a speaker. An excellent article. Covers just about all of the bases. I would certainly look forward to working with you. I enjoyed very much your article. It presented good intervention strategies when facing concerns with a colleague’s interpretation. I think we need to be careful not to lump flagrant protocol violations affecting the integrity of the record with an interpreter’s personal style into this category. If an interpreter is confident enough as to her mnemonic capabilities that she brings no pad with her to the side of the stand—or takes few notes when she does—or moves around the courtroom in a manner that could be—subjectively—construed as “excessive” but does so in order to better hear what is been said so she can help preserve a clear record, who am I to judge her? Or if she chooses to render a certain term as ‘to-may-to’ while I use ‘to-mah-to’, aren’t we both right? I think you supply the key yourself in your piece, when you write “unorthodox (TO YOU) behavior” [emphasis added]. I’d counter that, unless the record is being mauled, or the colleague in question is clearly unprepared, live and let live. That’s my 2¢ anyway. If I am a doctor and in a team operation I decide that the other doctor is not following protocol….what do I do??? ….each professional is risponsible for his/ her own protocol ar behaviors….if they are at fault…there are legal resources called law suits….why should interprters act any differently??? Well, Carlos, doctors will ask their colleagues to leave the operating room. It is a matter of patient safety and they have an obligation to do that. So, I am not sure your proposed scenario applies to our day-to-day reality. Can we just tell a colleague “You are not in any condition to continue this job. Please leave”? And as pointed out in the article, our perception may be at fault. How can we mend the fences after that? Isn’t it better to prevent destroying them? I would like to take a few minutes of your busy schedule to touch base about our common last name. Mine is spelled: Jasbon after my maternal grandfather changed the spelling. Great article Armando. A colleague shared it with us via our internal Slack app at work and we all got to offer an open mind about receiving constructive criticism. It’s healthy to be open to criticism but to me easier than offering it to others, specially when it’s someone you don’t know well.. Thank you for the great guidelines.